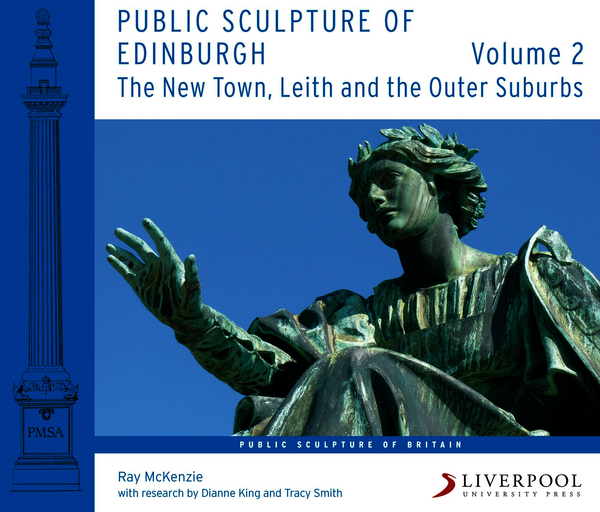 This book is the companion to Public Sculpture of Edinburgh, volume 1, ‘The Old Town and South Edinburgh’, extending the coverage to the First New Town and its environs, and beyond that to the former independent burgh of Leith. It provides a comprehensive and detailed account of the entire spectrum of public sculptures to be found in these parts of the city, including free-standing commemorative monuments, architectural carvings, and contemporary site-specific interventions. Based on extensive new research, the text is structured as a catalogue raisonné, with each entry comprising a detailed description of the work, an account of how it came to be commissioned, and an analysis of its cultural significance. There are also separate appendices dealing with important works that have been lost or destroyed, minor works and sculptural coats of arms. The study of public sculpture is now recognised as offering a range of new insights into the development of the urban realm. Those insights are brought together here to provide a comprehensive resource for historians, architects, urban planners and conservators, and a narrative history that will be of interest to all who care about Edinburgh, and wish to celebrate its status as a UNESCO World Heritage Site. Ray McKenzie was until his recent retirement a Senior Lecturer in Art History and Research Fellow at the School of Art in Glasgow, and is the author of several studies on the art of the city. These include Public Sculpture of Glasgow, which was joint winner of the Saltire Society / National Library of Scotland award for Research Book of the Year in 2002, and The Flower and the Green Leaf, an exploration of the educational culture of the School at the time of Charles Rennie Mackintosh. He is currently an Honorary Professor in the Department of Fine Art Critical Studies. Dianne King is a former Acting Head of Humanities and Honorary Research Fellow at Edinburgh College of Art. She studied Art History at Edinburgh University and Sculpture at Edinburgh College of Art, and has published articles on sculpture in academic journals. In 1999 she set up the PMSA Edinburgh Research Archive (now housed by Historic Environment Scotland) and worked, with others, on the Edinburgh PMSA database of public sculpture. Tracy Smith is an Art History graduate, a freelance researcher and editor, and was one of the team of researchers who worked with Ray McKenzie on Public Sculpture of Glasgow.